Enzklösterle biedt omwille van zijn centrale ligging in het noordelijke Zwarte Woud een ideaal uitgangspunt voor unieke uitstapjes in de omgeving. Bekijkt u eens de doelen, die u vanuit de camping Müllerwiese gemakkelijk te voet, met de auto of kampeerwagen of kosteloos met de lijnbus bereiken kunt. In de onmiddellijke omgeving van de reuzeglijbaan in Poppeltal is het zeer idyllisch gelegen Poppelmeer. Net zoals het Kaltenbachmeer bij Enzklösterle-Gompelscheuer werd ook dit meer in het verleden door de Zwarte Woud-vlotters aangelegd. De beide romantische meren zijn voor wandelaars echt de moeite waard. Het volledig door bos omsloten, 950 m hoog gelegen gebied met twee meren omvat de grootste hoogveen-poel van Duitsland met een uitzonderlijke fauna en flora. Vanuit camping Müllerwiese is dit gebied te voet gemakkelijk in twee uur te bereiken of met de auto in 10 minuten. Kaltenbronn, een 800 m hoog gelegen effen hoogplateau, is een zeer geliefde plek om te gaan wandelen. Goed uitgebouwde wegen en pistes doorheen veen- en bosplaatsen alsook een goed gastronomie maken Kaltenbronn tot een aantrekkelijk doel. De dichtbijgelegen Keizer-Wilhelm-toren biedt de bezoeker een fascinerend uitzicht vanuit een hoogte van 1000 m op het Rijndal, de Vogezen, de Zwabische Alb en de Alpen. Natuur Informatiecentrum Kaltenbronn - een interactief natuur expositie. Ontdek tijdens een wandeling een van de laatste intakt gebleven hoogveengebieden van midden Europa. Besenfeld (800 m hoog gelegen) is een ideaal vertrekpunt voor vele kleine en grotere wandelingen (kosteloos met het lijnbus te bereiken). Aanbevelenswaardig: "Natur- & Erlebnispfad" en "Besenfelder Brunnenspaziergang". Het enige stedelijke bad in het Zwarte Woud biedt met zijn thermale bronnen een badkultuur van speciale aard. Tips: het vorstelijke belevenisrijke bad Palais Thermal, het wellbeing bad Vital Therme, de kabelbaan op de Sommerberg en het toeristische eethuisje Grünhütte. Verdere attracties op de Sommerberg zijn de Downhill Bikepark, het Zwarte Woud Boomtop pad en de nieuwe Wildline hangbrug. Bad Wildbad is kosteloos met het lijnbus te bereiken van het camping Müllerwiese. Met zijn middeleeuws, op een berghelling gelegen dorpskern is de kleine stad Altensteig met burcht en slot een aantrekkelijk en lonend uitstapje. Altensteig is een luchtkuuroord met kuurinrichtingen, theater en concerten. Op warme dagen is een duik in het openluchtzwembad een welgekome afkoeling. In de buurt van Altensteig is het kleine stadje Berneck, ook van middeleeuwse oorsprong, dat een volledig bewaard gebleven burcht complex het. 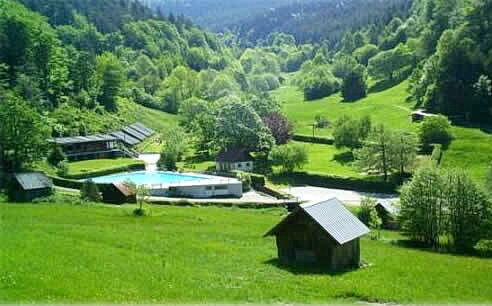 Reichental is an idyllic mountain village situated at the slopes of the "Murg"-valley below the "Hohloh"-massif. There is one of the most beautiful open-air swimming pools in our area with a wonderful view at the surrounded mountains and valleys. 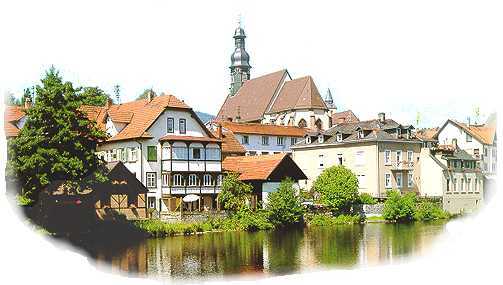 Located within the delightful valley of the river "Nagold" the reservoir extends along a 2 km stretch. In summer the lake invites for swimming, diving, surfing, boating and is recommended to families with children. At the small town above the "Nagold"-valley the old silver mine serves nowadays as adventure-mine and represents a widely known attraction. 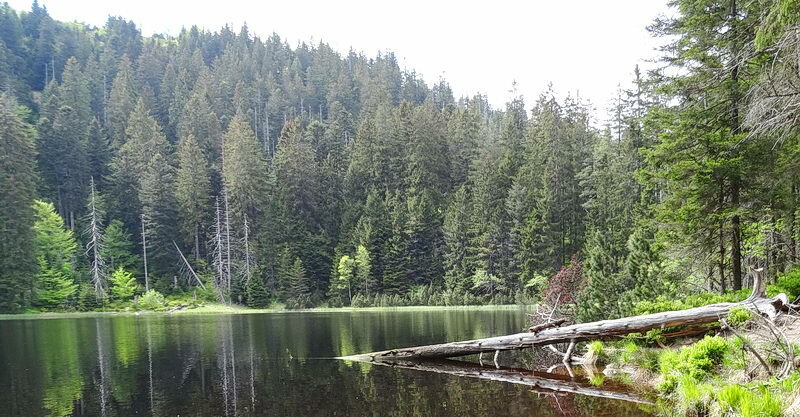 An overwhelming experience of nature is offering the Black Forest National Park in close proximity to our holiday region. Air distance 10 km or 30 - 45 minutes by car. Situated on a wide open plateau (altitude 700-1000 m) the climatic health resort is known for its very expanded market place which is skirted by arcades. Worth seeing is the historic silver-mine "Friedrichs-Fundgrube" as well as the famous Panoramabad with its numerous possibilities for bathing as well as the Experimenta. Freudenstadt is easily to reach by using the public service bus free of charge with your obligatory guest card. 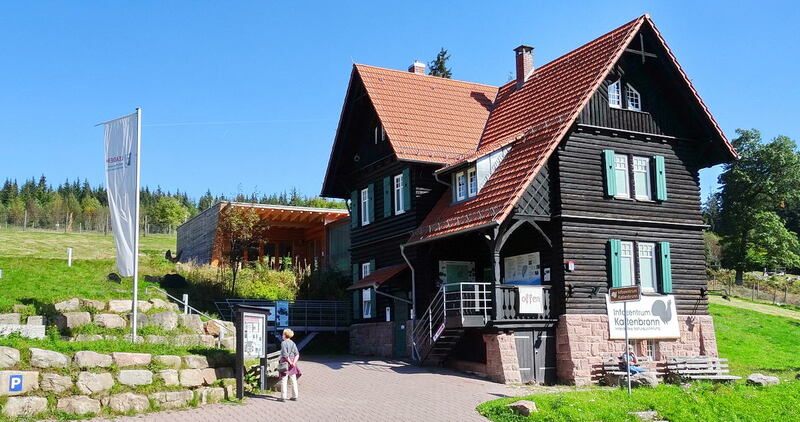 At the holiday resort in the "Murg"-valley the "Wilhelm Hauff"-fairytales museum will take you along into the world of the most famous fairytales of the Black Forest. The small, medieval "Enz"-town near "Pforzheim" invites you to visit the historic ore mine "Frischglück". During the summer months interesting events concerning the topic "historic ore mining" are presented. From the ore mine there is a small path leading to the old and new castle of Neuenbürg which are also worth to visit. The old town in northern Baden also called the "pearl of the Murg-valley" offers a spectacular historic town centre with impressive remains of the old city wall. Above the city is the Eberstein castle with a first-class restaurant and a private winery. 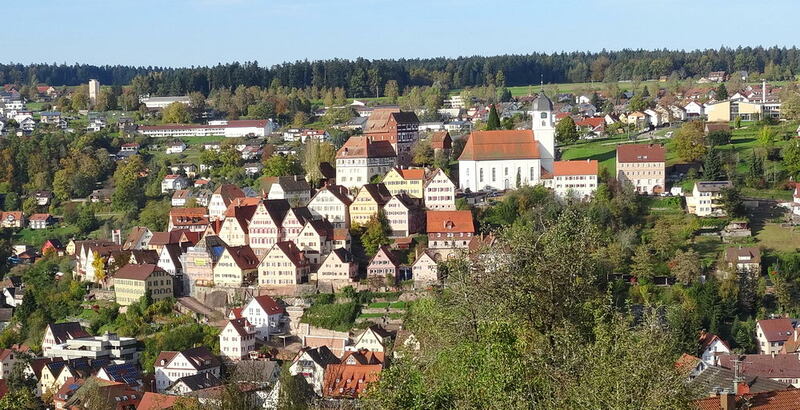 As the smallest city in Germany, the historic town with impressive castle ruins and a beautiful little old town is located above the Nagold valley near Bad Teinach. In March you can admire thousands and thousands of blooming crocuses here. The thoroughly restored old part of the formerly most important trade and commercial centre of the northern Black Forest with its numerous half-timbered houses is worth a visit. 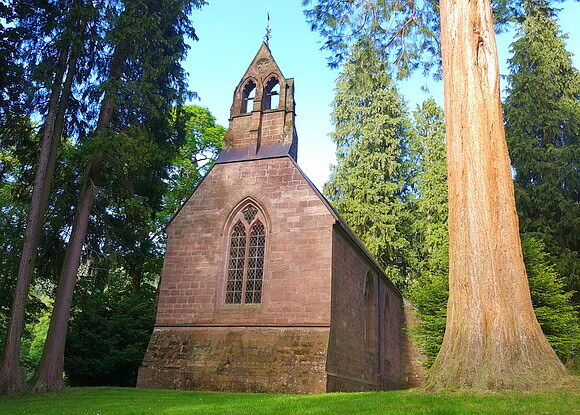 At the neighbouring, impressive ruin of the monastery complex of Hirsau are open-air concerts in July and August. Reachable with free public service bus. The barefoot park at Dornstetten offers a special experience for all who like to feel a lot of different sensations at their feet. Starting at Baden-Baden, the panoramic road "Schwarzwald-Hochstraße" runs along the main mountain range of the northern Black Forest to Freudenstadt. 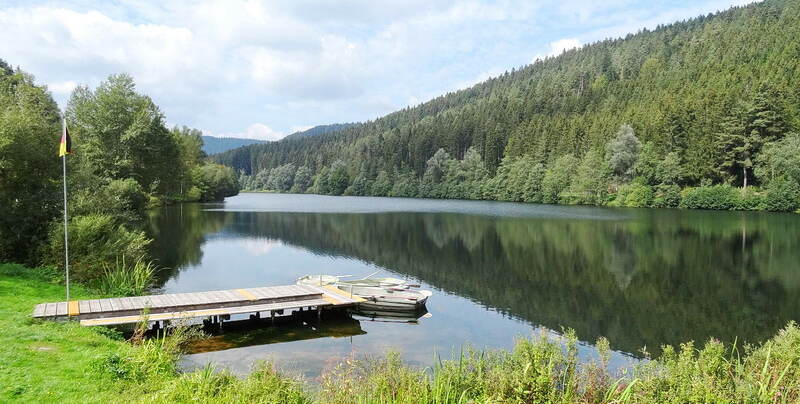 At the mountain road (altitude 1000 m) the famous lake "Mummelsee", the "Ruhestein" pass, the "Kniebis" massif and the new Black Forest National Park are located. On the Ruhestein it is worth visiting the National Park Center. A very interesting beauty spot for families with children exists at the "goldtown Pforzheim" with its spacious game park (over 15 hectare). A lot of native as well as exotic species are living there like lynx, wild boar, bison, deer, wild horse or llama. Once being the meeting place of the european crowned heads, the world-famous spa town with its palaces, villas and magnificent hotels today has still kept much of the glory of the Belle Epoque. The classicistic "Kurhaus" represents one of the most beautiful, famous and oldest casinos in the world. Furthermore, the "Caracalla-Thermen" invite you to a luxurious bathing experience or you can take the mountain railway to mount Merkur to enjoy the spectacular view. 15 km to the south of Freudenstadt the town Alpirsbach shows a unique historic monument of the Black Forest in the shape of the romanesque monastery church. 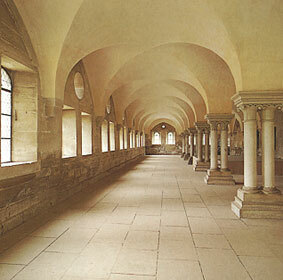 It was built during the 11th century by Benedictine monks. Nowadays concerts are given inside the famous building. 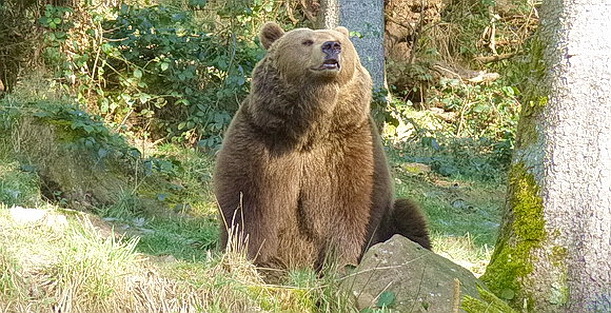 The alternative bear and wolf park is situated at Bad Rippoldsau-Schapbach in the middle part of the Black Forest. 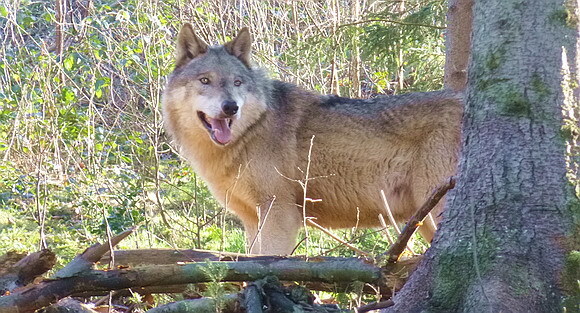 The visitors can observe the wolves and bears in an almost 10 hectares wide natural area. Karlsruhe, the capital of Baden, is situated at the northern end of the Black Forest within the Rhine valley. All streets of the town are running fan-shaped towards the castle which is a wonderful building like its example at Versaille. In the botanical garden and in the historic show greenhouses, visitors enjoy a fascinating idyll and marvel at exotic plants. 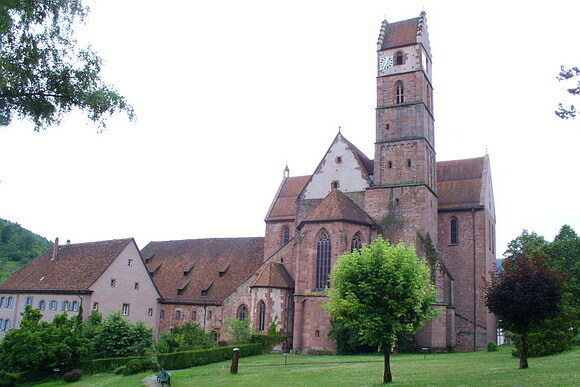 Over 850 years old, the Cistercian monastery Maulbronn represents the best preserved medieval monastery complex north of the Alps. This UNESCO-world cultural heritage shows all stylistic periods from the Romanticism to the late Gothic. 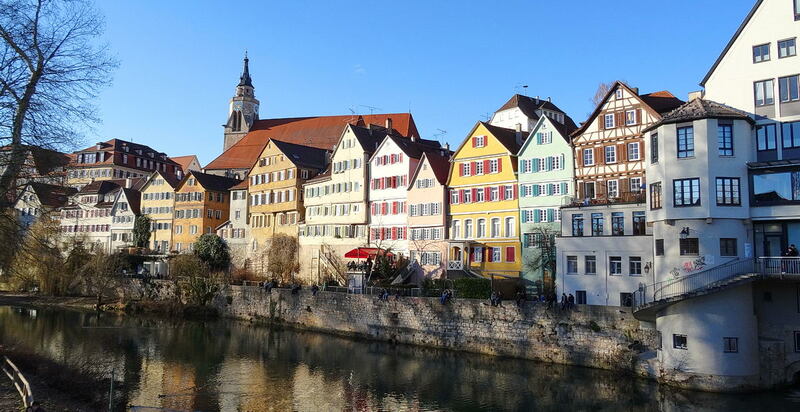 In the "Neckar"-valley nearby the the Swabian Jura the old University town Tübingen is situated. The vast number of students and the thoroughly restored medieval centre gives to the town an unmistakable charm mixed of old architecture, young lifestyle and a rich program of cultural events. 25 km to the south of Tübingen the famous castle Hohenzollern nearby the town "Hechingen" is located which fascinates each visitor by its appearance as a big old knight's castle. In the valleys of the rivers "Gutach", "Wolfach" and "Kinzig" in the middle Black Forest region the old traditional farmhouses are still present. In the "Gutach"-valley the 430 years old farmhouse "Vogtsbauernhaus" represent the center of a very interesting open-air museum. 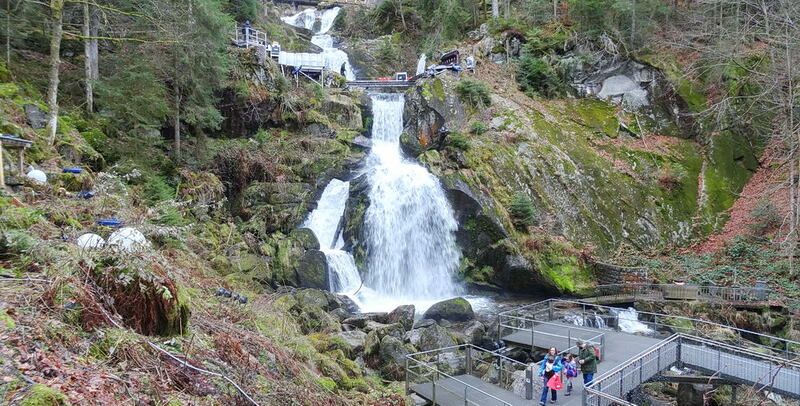 Nearby the town "Triberg", which is also called the pearl of the middle Black Forest region, the highest waterfalls in Germany are located. Through a narrow gorge over 7 cascades and 163 meters difference in altitude the water of the river "Gutach" is falling down to the valley basin. On planks and footbridges the gorge can be discoverd. Not only the famous cathedral and the impressive mediaeval centre are so special about the capital of Alsace. But also the mixture of French charm and Alemannic tradition. The widely-known amusement park "Rust" is located in the Rhine valley to the south of the town "Offenburg". It will lead you into a breathtaking world of fairytales with whitewater slide, haunted house, knight's games, ice show and many other attractions.